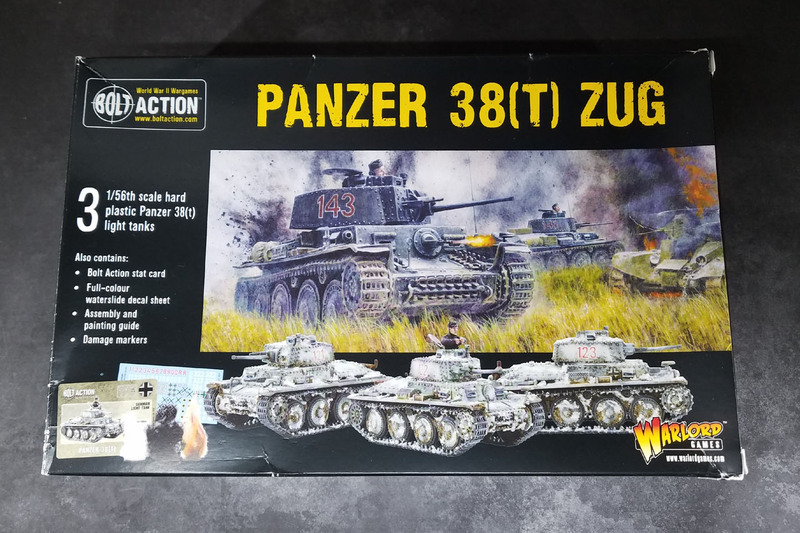 The new Tank Platoon box sets from Warlord Games have been really handy, especially some of the Early War kits like the Panzer 38T Zug. Since I like to emphasize just how many of the Czech designs were used, this box is perfect! 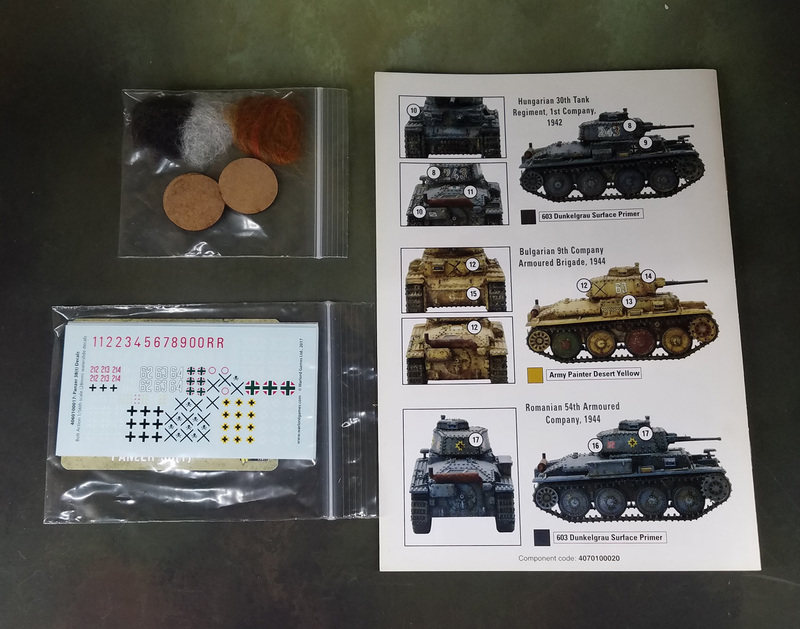 I was able to make one of the 38T's for our Barbarossa campaign, and another for my France '40 battle reports. This was done in the markings of the 7th Panzer division... the "Ghost Division". 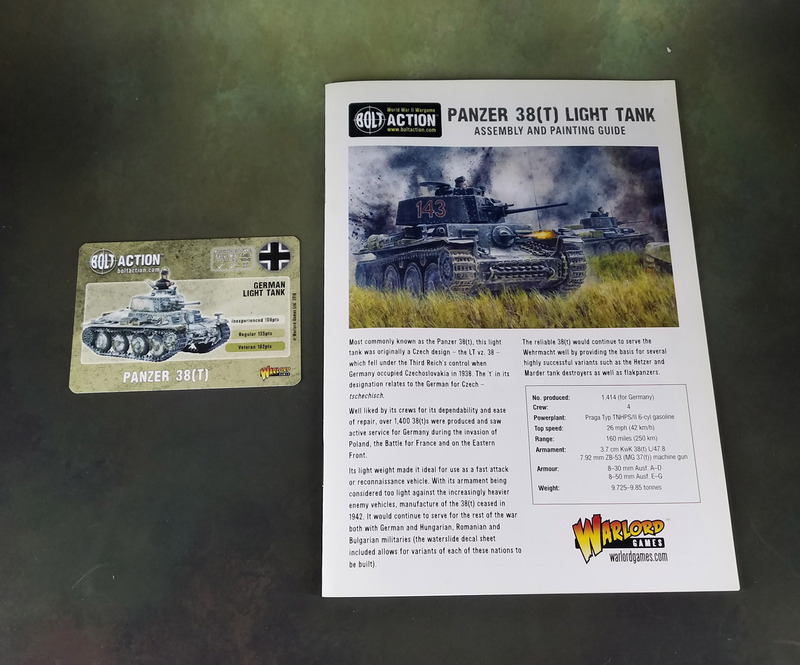 It was featured in my latest battle report, which I am editing now! Packed into a nifty box! 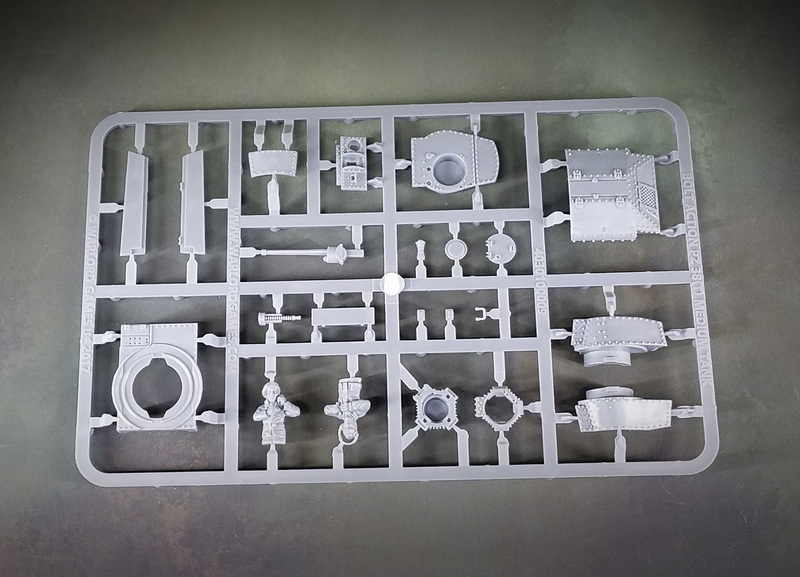 The sprues in the kit will allow you to make a few different variants, which you will see later. These were definitely easier to assemble the older metal and resin versions which this set replaces. The turret was very easy for a plastic kit in fact! 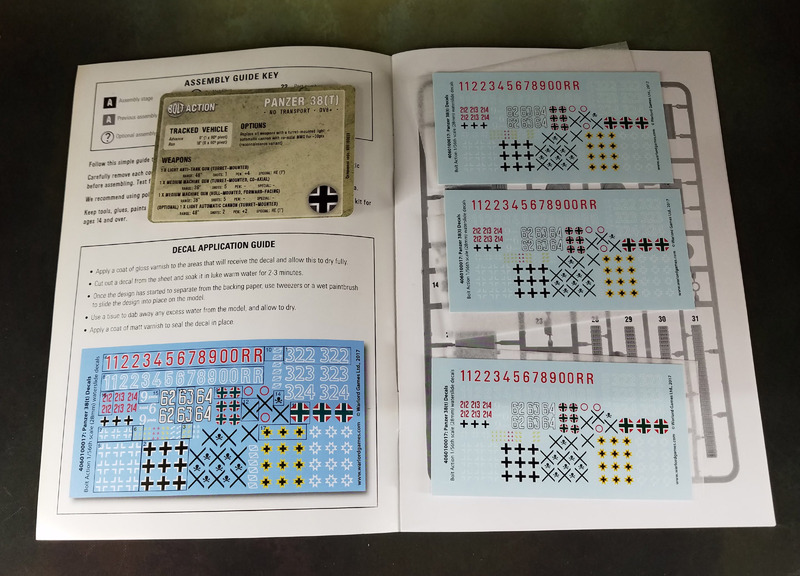 There's a nice little instruction set that is included, with a number of decent color plates as well. And for my favorite parts... the color plates and the decals! 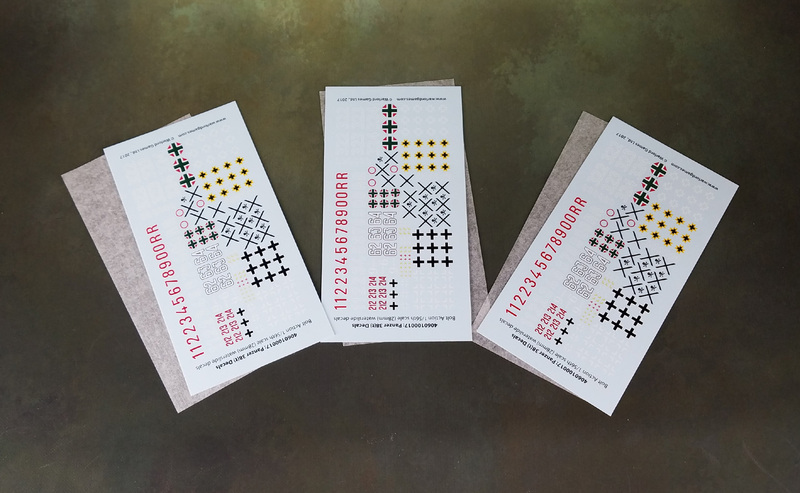 These quick color guides are a nice start to your color scheme research. 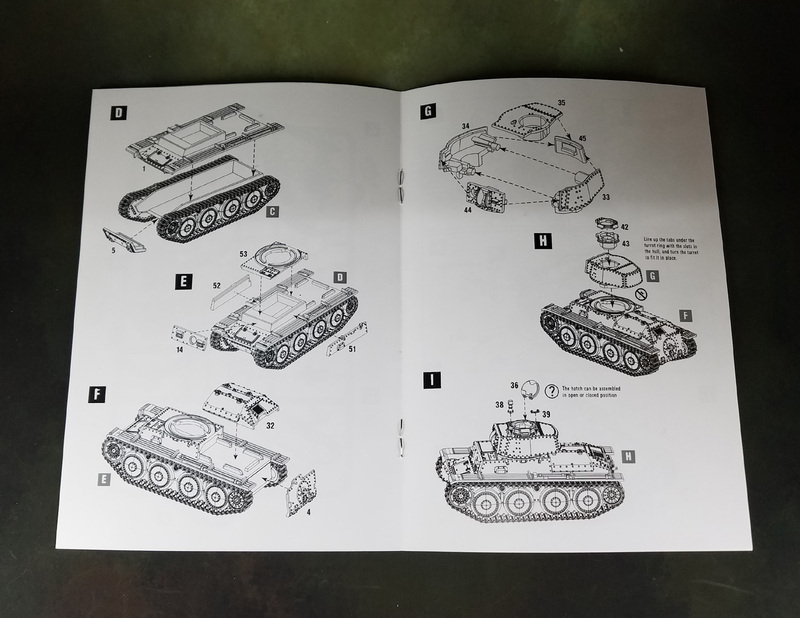 Like some of the 1/48 scale kits I have done recently, there is even a decal guide which is very helpful. 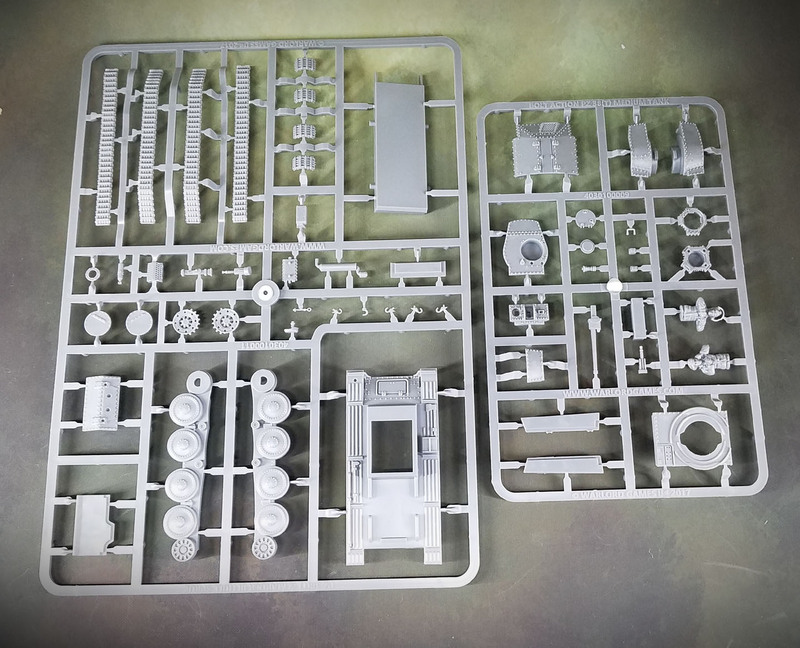 The other new tank platoon boxes have similar sets of decals. The Char Bis box is the same way, with generous helpings of French and German insignia that will be of great help!